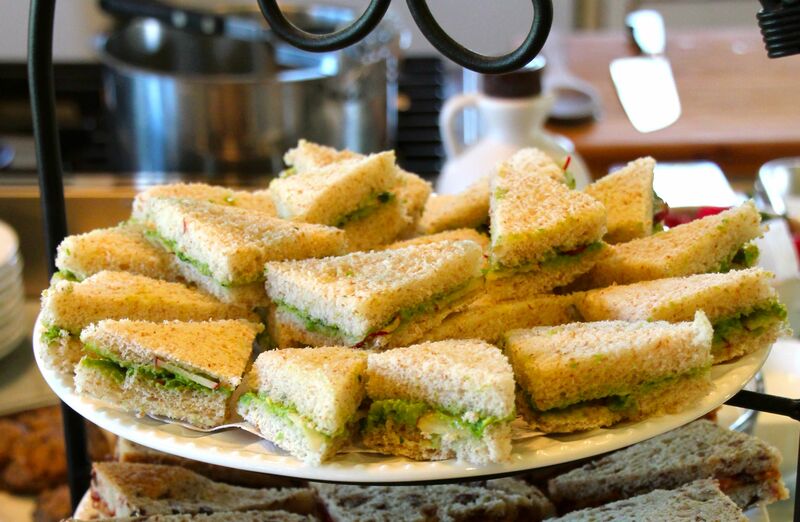 You can’t have a lady’s tea without tea sandwiches! At our “Lady’s Tea” cooking class at The Lark Inn we made three different tea sandwiches. They were all very simple to make and these Avocado-Green Pea spread sandwiches were no exception. This spread is also very versatile . . . I challenge you to experiment and find different uses for the spread. In the meantime . . . let’s make some sandwiches! Mash 2 avocados with 1 cup thawed frozen peas. 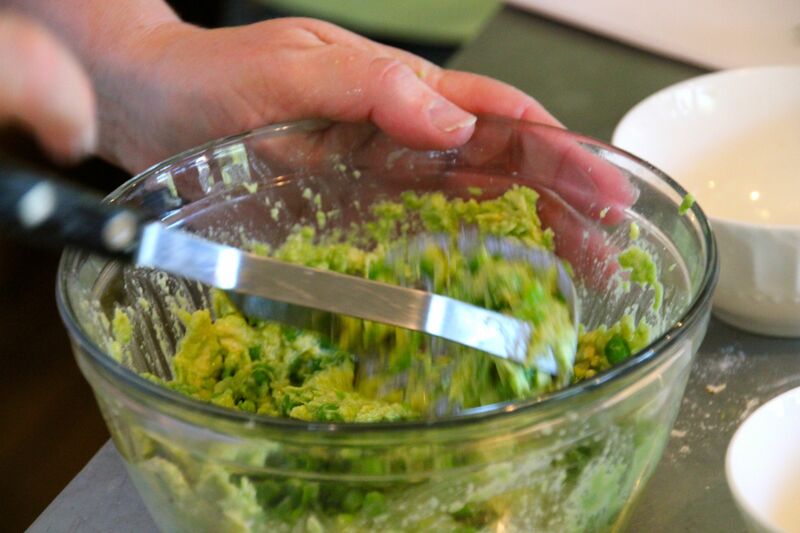 Put the avocado, peas and lemon juice in the food processor. 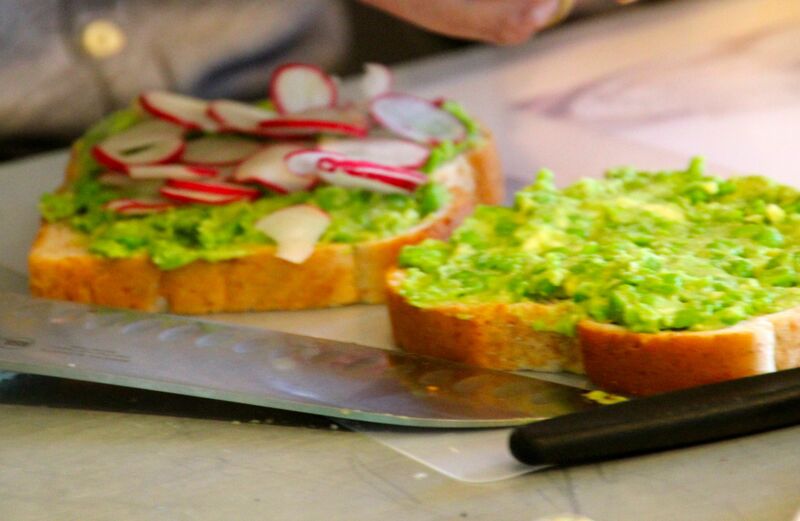 Spread on whole grain white bread, top with radish slices and snipped chives or other vegetables and herbs. Put the bread together and trim the crust. Cut in half diagonally to serve. This is really good as a dip with radishes, carrots, zucchini or whatever vegetable you would like. As always thank you for allowing me to share. VISIT MY WEBSITE for more information about Cooking Classes at The Lark Inn and killer get-a-ways! This entry was posted on April 27, 2012, 10:13 am and is filed under Cooking and Baking. You can follow any responses to this entry through RSS 2.0. You can leave a response, or trackback from your own site. Awesome post. I am definitely looking forward to reading more posts!